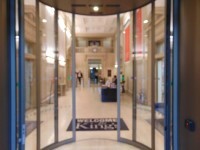 Services / facilities within the building include Kings Business School, Department of Informatics, Entrepreneurship Institute, The Auditorium, The Arcade, North and South Terraces. 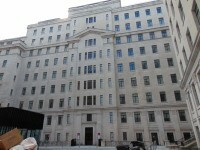 This building contains the North and South Wing of Bush House. Related link 8th Floor North Side. You are on Rooms and Spaces Links. Skip to the next section. 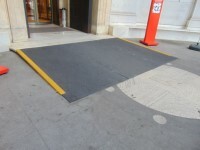 To view the DisabledGo access guide for The Auditorium please click here (new tab). To view the DisabledGo access guide for Lecture Theatre 1 (1.01) please click here (new tab). To view the DisabledGo access guide for Lecture Theatre 2 (4.04) please click here (new tab). To view the DisabledGo access guide for 1.02 please click here (new tab). To view the DisabledGo access guide for 1.03 please click here (new tab). To view the DisabledGo access guide for 1.04 please click here (new tab). To view the DisabledGo access guide for 2.01 please click here (new tab). To view the DisabledGo access guide for 2.02 please click here (new tab). To view the DisabledGo access guide for 2.03 please click here (new tab). To view the DisabledGo access guide for 2.04 please click here (new tab). To view the DisabledGo access guide for 2.05 please click here (new tab). To view the DisabledGo access guide for 2.06 please click here (new tab). To view the DisabledGo access guide for 4.03 please click here (new tab). 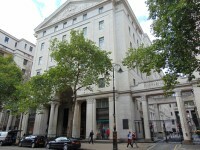 The Kings College Strand Campus is located in central London off the Strand (A4). This campus is within the congestion charge zone. There is no parking at the Strand Campus and very limited parking in the immediate area. The nearest public car park is the NCP London Covent Garden Car Park approximately 700m from the campus. 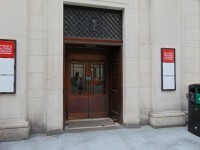 The nearest bus stop to the Strand Campus is the Aldwych Somerset House (Stop R) bus stop. This bus stop is located off the Strand and is directly outside the Kings College Strand Building. This stop is served by routes 6, 9, 11, 15, 23, 87, 91, N9, N11, N15, N21, N26, N87, N89, N91, N155, N550, N551 and 748. The nearest train station to the Strand Campus is the Charing Cross station. This station is approximately 800m from the campus. This station is served by the Southeastern line. The nearest underground station to the Strand Campus is the Temple Tube station. This station is approximately 300m from the campus and is served by the Circle and District lines. For more information on the Strand Campus. 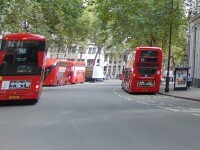 For more information on bus and underground timetables, routes and pricing throughout London. For more information on national train time tables, tickets and routes. You are on Useful Information. Skip to the next section. To see more information on Disability Support please click here (opens new tab). Telephone Number: 020 7848 1234. To see more information on Admissions Office please click here (opens new tab). Telephone Number: +44 (0)20 7848 7000. The phone number provided is for the Undergraduate Admissions Office. To see more information on Accommodation Office please click here (opens new tab). Telephone Number: 0207 848 5959. You are on Building Parking. Skip to the next section. The building does not have its own dedicated parking. Clearly signed and / or standard marked parking bays are not available. You are on Outside Access (East Courtyard). Skip to the next section. This information is for the entrance located on the right side of the building off the East Courtyard. There is not a bell/buzzer. There is not an intercom. A key card is required for access at this entrance. The height of the card reader/lock is 110cm (3ft 7in). 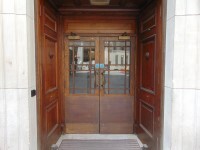 The door(s) is / are permanently held open (at the time of the survey). The width of the door opening is 175cm (5ft 9in). There is a second set of doors. The door(s) open(s) towards you (pull). The width of the door opening is 140cm (4ft 7in). You are on Outside Access (First Floor Entrance). Skip to the next section. 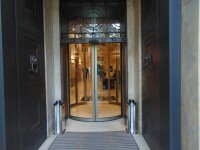 This information is for the entrance located at the rear of the building off Aldwych. There is ramped/sloped and stepped access at this entrance. The main door(s) open(s) automatically. The width of the door opening is 145cm (4ft 9in). The width of the door opening is 97cm (3ft 2in). 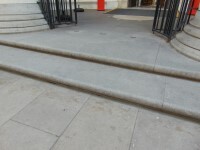 The ramp or slope does not bypass the step(s). The ramp/slope gradient is slight. There is a level landing at the top of the ramp. The step(s) is / are medium (11cm - 17cm). You are on Entrance. Skip to the next section. This information is for the entrance located at the rear of the Arcade. The height of the card reader/lock is 120cm (3ft 11in). The width of the door opening is 152cm (4ft 12in). You are on Reception (Building Reception). Skip to the next section. 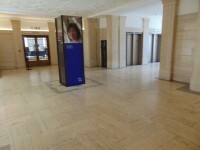 Building Reception is located directly beyond the first floor entrance. The desk is 6m (6yd 1ft) from the first floor entrance. The lighting levels in the reception area are medium. 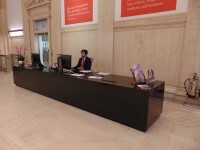 The reception desk/counter is low (76cm or lower). There is not a clear knee recess beneath the low/lowered counter. 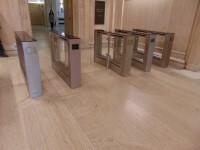 There are security barriers to the left of the reception desk which are 56cm and 112cm wide. 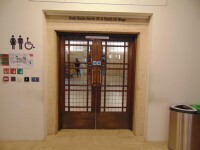 There is step free access throughout the building via lift(s). 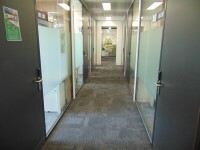 There are doors in corridors which have to be opened manually. There is clear signage for building facilities/areas in the foyer/reception area. There is clearly written and pictorial directional signage at key points of circulation routes. 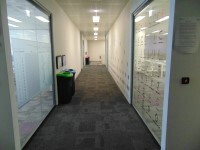 There is good colour contrast between the walls and floor in the majority of corridors. 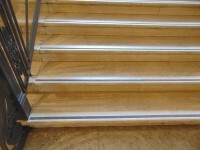 The floors which are accessible by stairs are -1, 0, 1, 2, 3, 4, 5, 6, 7 and 8. 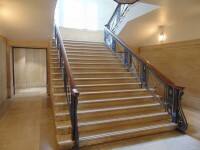 The stairs are located directly in front of you as enter from the East Courtyard. The stairs are approximately 14m from the East Courtyard entrance. The steps are medium (11cm - 17cm). There is a lift for public use. The lift is located directly beyond the East Courtyard entrance. The lift is a standard lift. 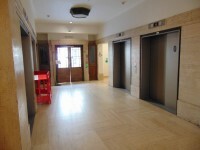 The floors which are accessible by this lift are -1, 0, 1, 2, 3, 4, 5, 6, 7 and 8. Wall mounted information boards are provided at lift landings. 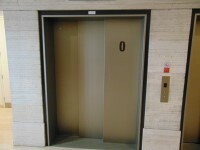 The weight limit for the lift is 1050kg. The lift is approximately 3m (3yd 10in) from the East Courtyard entrance. Staff do not need to be notified for use of the lift. 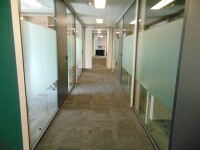 The clear door width is 91cm (2ft 12in). The dimensions of the lift are 133cm x 170cm (4ft 4in x 5ft 7in). 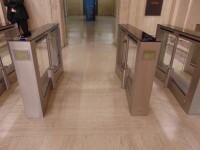 There are not separate entry and exit doors in the lift. There is a mirror to aid reversing out of the lift. The lift does have a visual floor indicator. The lift does have an audible announcer. The lift does have a hearing loop system. 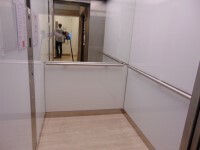 The lift does have tactile markings. 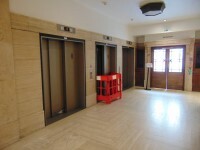 The controls for the lift are within 90cm - 120cm from the floor. There are 5 similar lifts in the same location. One of the lifts was out of order at the time of survey. There is a similar goods lift in the same location. This lift was out of order. Accessible toilet facilities are available. This accessible toilet is approximately 3m (3yd 10in) from the East Courtyard entrance. This accessible toilet is located to the left as you enter from the East Courtyard entrance. There are similar accessible toilets in the same location on Floors 2, 4, 6, 8, as shown in photograph 3. 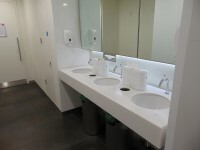 There are similar accessible toilets with transfer spaces on the right on Floors -1, 1, 3, 5, 7, as shown in photograph 4. There is level access to this accessible toilet. The door is locked by a twist lock. The width of the accessible toilet door is 88cm (2ft 11in). 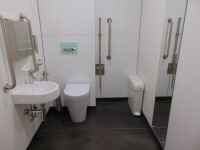 The dimensions of the accessible toilet are 152cm x 200cm (4ft 12in x 6ft 7in). There is a clear 150cm x 150cm manoeuvring space in the accessible toilet. The lateral transfer space is 85cm (2ft 9in). There is a flush, however it is not on the transfer side. There is an emergency pull cord alarm in the cubicle. The emergency pull cord alarm is not fully functional. The alarm was out of reach (higher than 10cm (4") from floor) when surveyed. There is a/are female sanitary and open waste paper bin disposal units. There is a/are coat hook(s). The height of the coat hook is 130cm from the floor. Wall mounted grab rails are available for the toilet. As you face the toilet the wall-mounted grab rails are on both sides. The height of the toilet seat above floor level is 49cm (1ft 7in). The towel dispenser can be reached from seated on the toilet. The towel dispenser is placed higher than 100cm (3ft 3in). The height of the towel dispenser is 109cm (3ft 7in). The toilet roll holder is not placed higher than 100cm (3ft 3in). There is a wash basin. The wash basin can be reached from seated on the toilet. The wash basin is not placed higher than 74cm (2ft 5in). There is not a soap dispenser. The contrast between the internal door and wall is poor. The contrast between the external door and wall is poor. The contrast between the wall-mounted grab rail(s) and wall is good. The contrast between the dropdown rail(s) and wall is good. The toilet seat colour contrast is poor. There is a wall mounted baby change unit 79cm high in the surveyed toilet, as shown in photograph 2. There are male and female standard toilets facilities on all floors. A male standard toilet was surveyed. The toilet surveyed is located ahead and to the right as you enter from the East Courtyard entrance. There is a female standard toilet in the same location. The standard toilet surveyed is approximately 16m from the East Courtyard entrance. 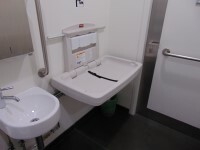 There is a/are cubicle(s) suitable for ambulant disabled people in the standard toilet(s) surveyed. There are horizontal grab rails on both sides of the seat and a vertical rail on the left.